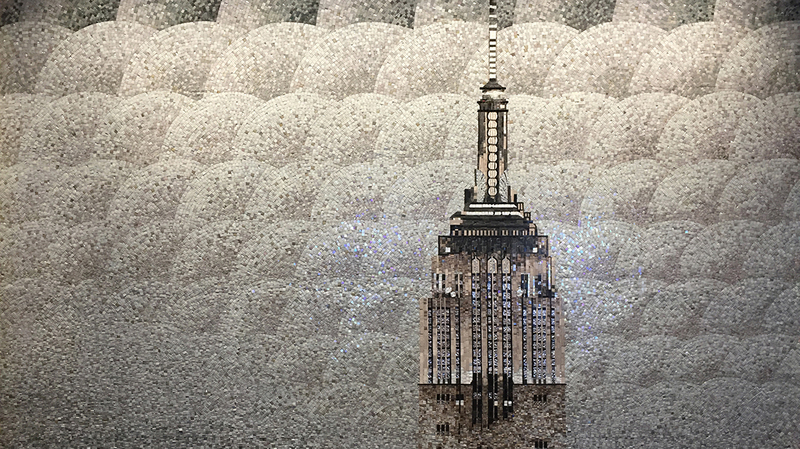 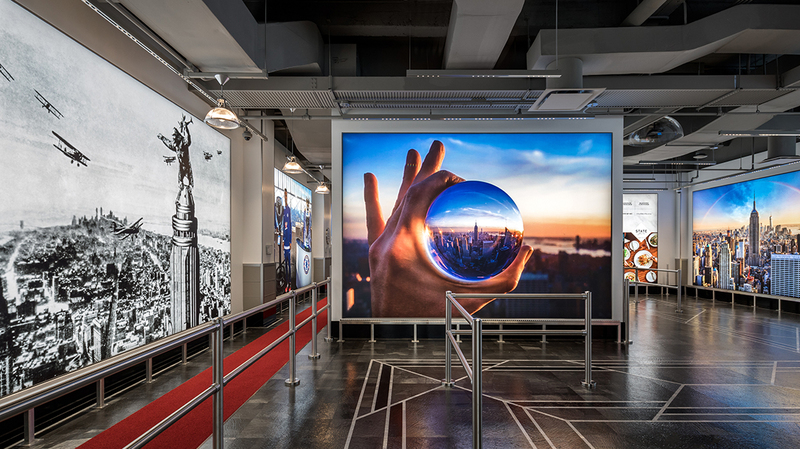 This all new 18,000 square-foot 34th Street entry to the Empire State Building is the first installment of a spectacular reimagining of the Observatory that introduces new experiences to its singular views of New York. 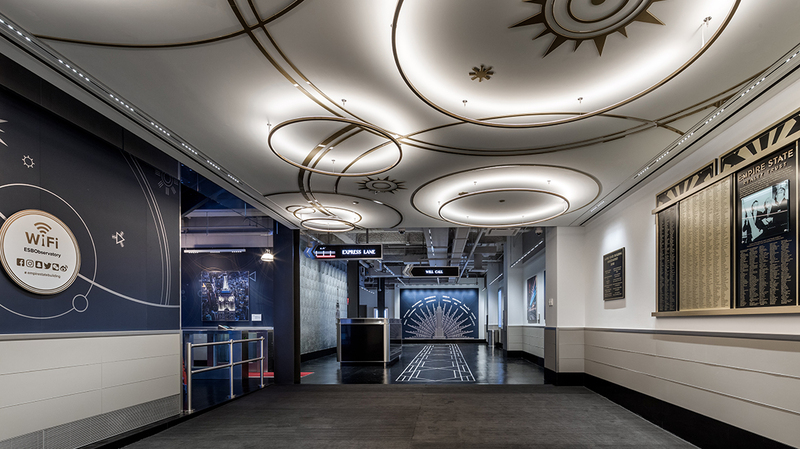 Thinc is the Experience Designer for the reimagined Observatory, the project lead in a collaboration with Beneville Studios, IDEO, Squint/Opera, and a host of other consultants and production partners who have offered expertise to the project from digital media to lighting and fabrication. 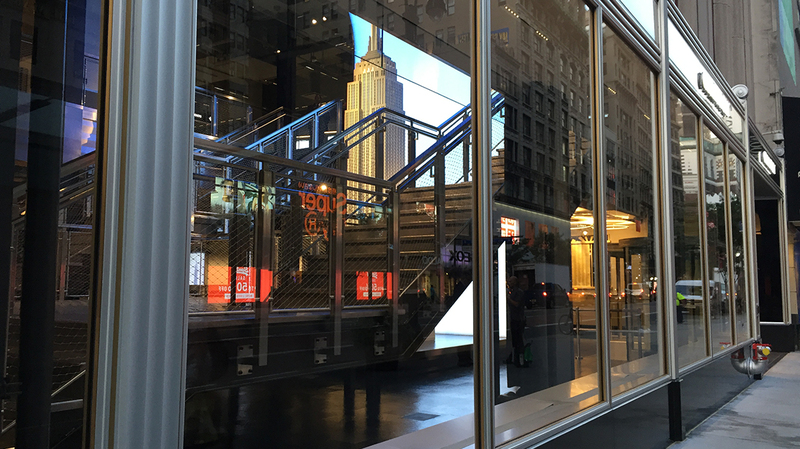 The new and expanded entrance graciously accommodates increasing visitation to the ESB, already in excess of four million people annually. 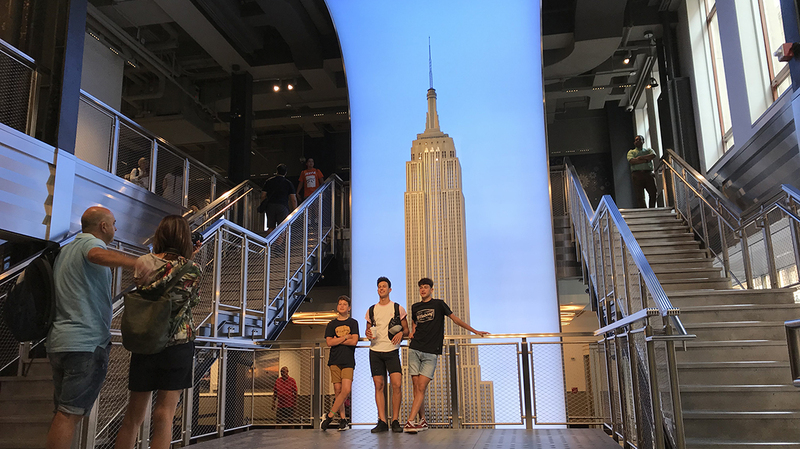 The centerpiece of the new entry is an extraordinarily crafted, architecturally accurate two-story model of the building, framed by a grand staircase replete with stainless steel and brass details adapted from features of the Empire State Building. 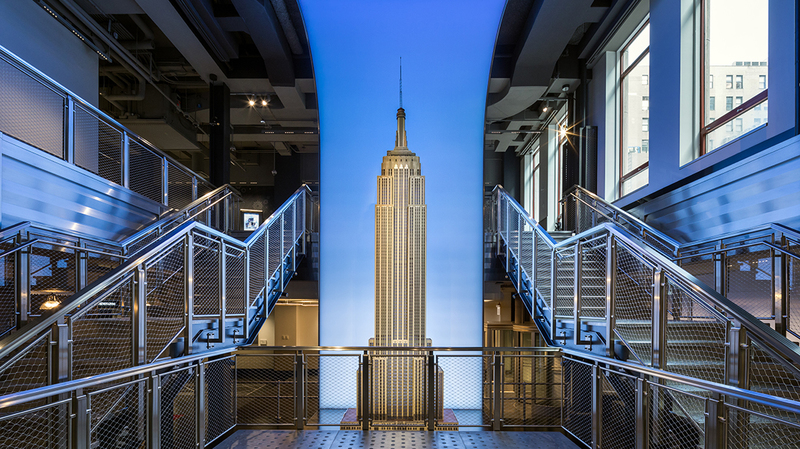 Rising from an exhibit that celebrates signature lighting atop the building, the grand staircase leads to a second-floor entry gallery lined with huge photomurals that capture the building’s essential character, its place in the cityscape of New York, and its place in the public imagination. 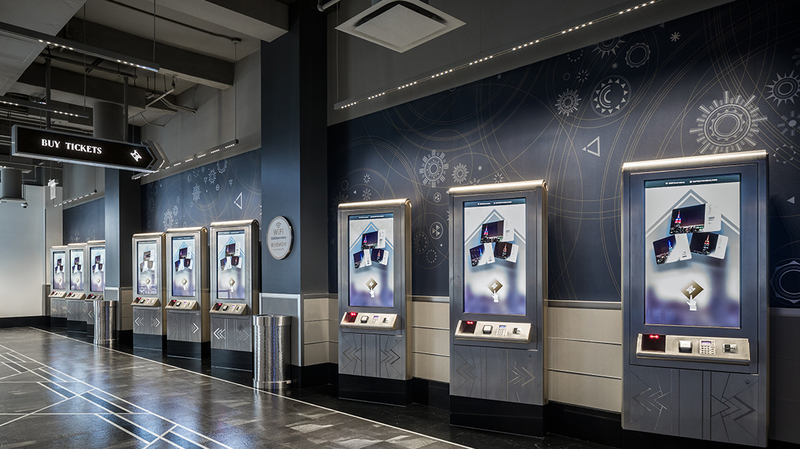 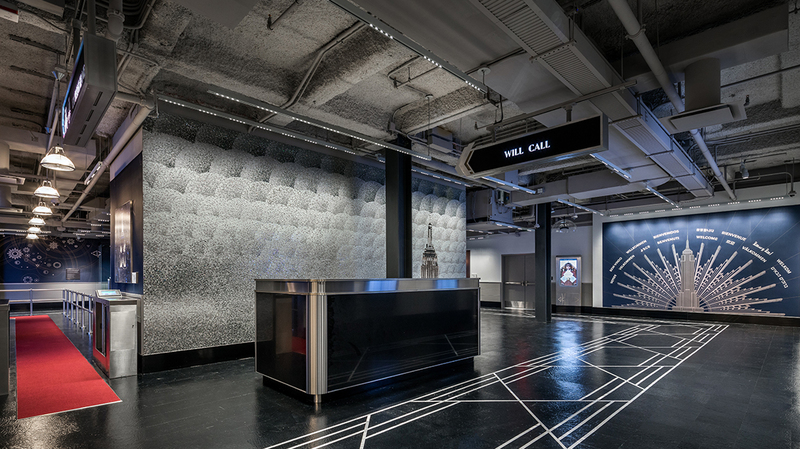 The new lobby features automated, Deco-inspired ticket kiosks, digital directional signs in nine languages, a green room for VIP guests, a state of the art security system, and interactive host screens where visitors can hear personal stories and insider tips from longtime members of ESB's staff. 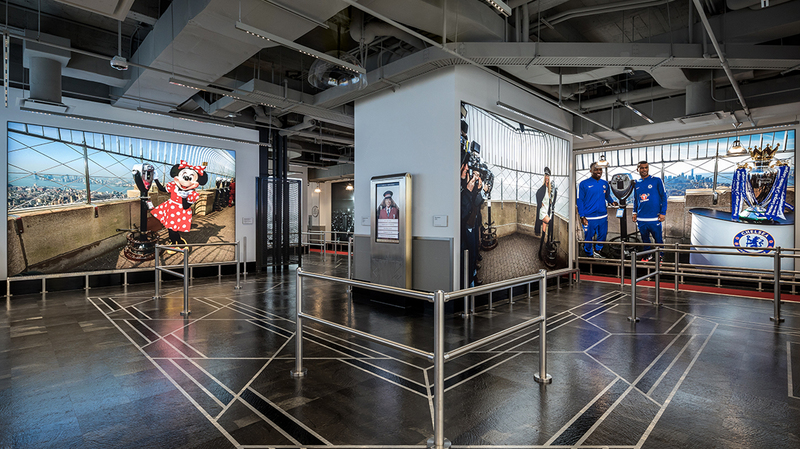 Together, these elements create a seamless entry experience for visitors from all over the world. 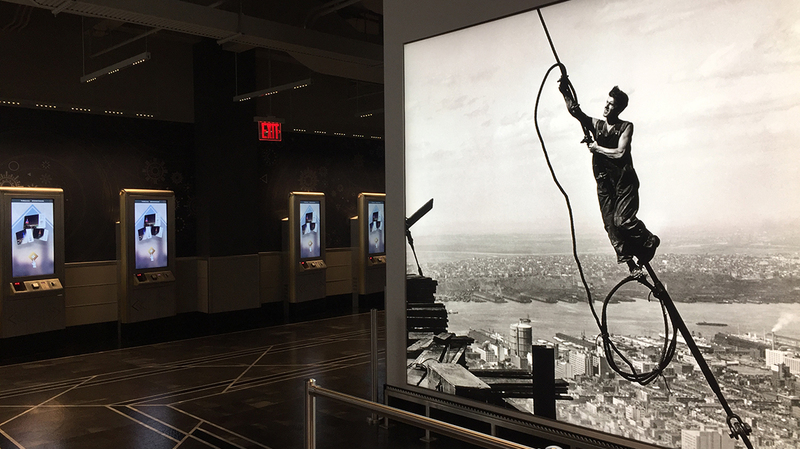 The balance of the Observatory upgrade project will open in phases through 2019. 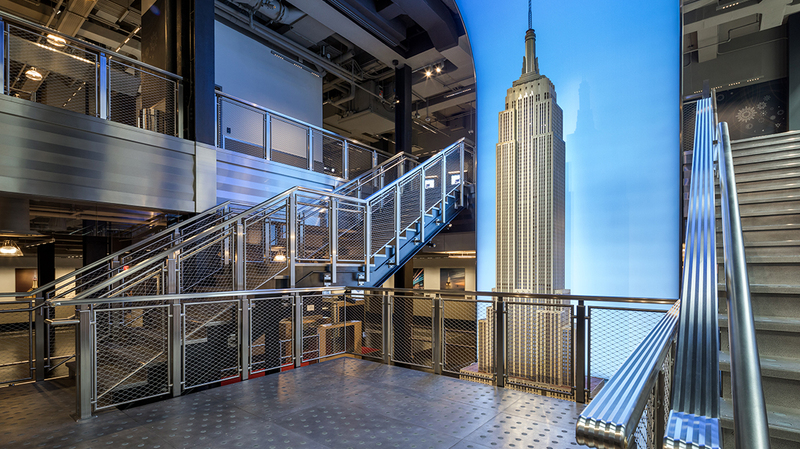 Web "Museums Take Interactivity To New Levels For Wider Audiences"
Web "Empire State Building Unveils Observatory Entrance"
Web "Empire State Building rolls out new visitors entrance for observatory"
Web "Empire State Building unveils new observatory entrance"
Web "Empire State Building's Observatories Open with New Public Entrance"
Web "Thinc Creates New Experiences for Visitors to the Empire State Building"
Web "How Designers Keep You Calm In Long Queues (It Sometimes Involves Elephants)"
Web "New York City’s Empire State Building debuts a brand new entrance and lobby for its world-renowned observatories"
Web "The Empire State Building’s New Visitor Center Celebrates Official Opening Day"
Web "Empire State Building unveils new entrance, lobby as part of 10-year makeover"
Web "Empire State Building reveals its new Deco-inspired Observatory entrance"